Residential housing community with 71 finished homesites. Community is situated in Karns, on the west side of Knoxville with easy drives times to Knoxville, Turkey Creek and Oakridge. Gated lake community with spectacular views of the Blue Ridge Mountains. 137 residential homesites; including 8 waterfront/dockable, 15 first row waterfront, 7 waterfront townhome and 107 interior around large common areas. Residential community with 215 homesites and amenities; excellent location within 15 miles from University of Tennesse and 13 miles from downtown Knoxville. 109 completely finished homesites; currently 50 homes and 14 townhomes are complete. 6 acre pad for a high rise condominium complex within the master planned Seascape golf community. Ideal location with Gulf views, with a 2 minute walk to one of the best beaches in the US. 1,000 acre community on Tellico Lake with 10 miles of shoreline and beautiful views of Smokey Mountains – 1400 homesites with 400 homes and 32 more under construction. 102 finished lots; fully amenitized community-golf course, full equestrian center, marinas, pool, tennis, clubhouse, fitness center; full range housing option – condos, villa homes, more conveniently sized homes and larger square footage options. 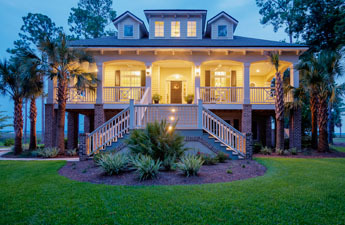 Well-established (15 years) highly-amenitized golf club community on the St. Mary’s River within 20 minutes of Jacksonville Airport; 650 homes in place. Homesites – 190; including 8 dockable/deep water; Club – 18-hole golf course, clubhouse, banquet facility, River Center with pool, Tiki Bar, 4 tennis courts and fitness center. Renowned private waterfront golf and equestrian community, with some of the finest amenities in the Southeastern U.S. 540 total lots with 230 homes and another 25 under construction. 130 residential homesites; mix of full size and TND; golf front, lakefront, lake view and wooded preserve. 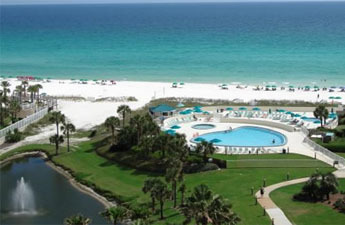 Condominium community on 336 feet of beach frontage with striking Gulf views. 234 Gulf front condominiums with covered parking. Located 5 minutes from landmark Simons “Pier Park”.